They say the early bird gets the worm. Twitter followers can not only get the worm, they can also get products at discounted rates by following the microblogging site's new Earlybird account. Twitter introduced the account Tuesday, reassuring followers they will have access to exclusive offers from Twitter's advertising partners. According to reports, followers could get great rates for items like iPods, household items, concerts and even travel tickets. The possibility proved to be appealing to Twitter users. Within a day of being announced, Earlybird had more than 16,000 followers. The move appears to be Twitter's answer to deal-of-the-day sites, such as Woot, which was recently acquired by Amazon for a reported $110 million. It's also a way for Twitter to monetize it's highly popular service. 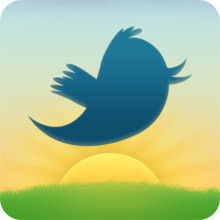 To get access to the special offers, users must follow Twitter's Earlybird account. Items are "time sensitive," so they may run out quickly, Twitter notes. But users can suggest deals by replying to Earlybird tweets. Initially, special offers will focus on national products and companies, but there may be location-based deals in the future, according to Twitter. "Many of you use Twitter to stay on top of timely, relevant information, and lots of businesses are already sharing special offers on Twitter," reads an explanation on the site. "We believe that surfacing deals through the Earlybird account will help you discover the best of those deals, as well as find and follow accounts that consistently provide exceptional value." So how does the Earlybird choose a deal? "Every couple days, our Earlybird at Twitter headquarters lays a golden egg. Inside this wondrous egg is a piece of parchment with the day's magical deal," Twitter explains. Auctiva reporters weren't too sure if this was the true selection method, but requests to learn about this process weren't answered by press time. Colorful deal-of-the-day retailer will operate independently.